Jordan Peterson’s book 12 Rules For Life has been removed from the shelves of a national New Zealand bookstore; according to reports, this may have been done as a reaction to the Christchurch massacre. These reports were later seemingly confirmed by Whitcoulls itself as the chain tied their decision directly to the Christchurch mosque shootings; however, the brand didn’t mention the exact reason for pulling the book. Having said that, many publications have pointed out that it may have had something to do with Mr. Peterson’s book tour in New Zealand last month. 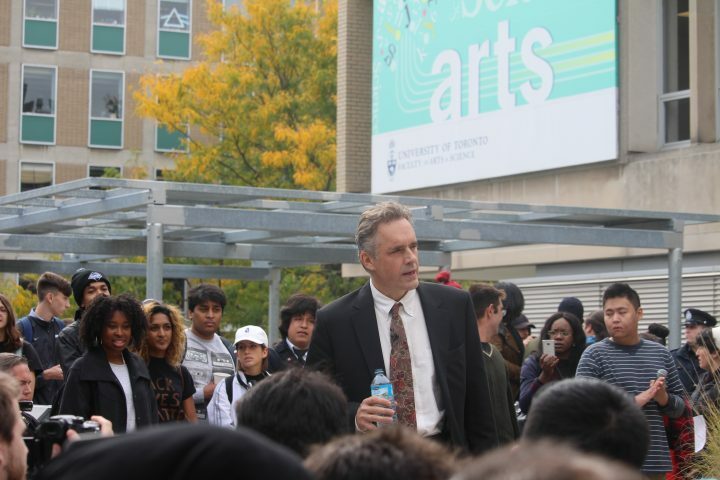 Some have pointed out that among the dozens of photos that Mr. Peterson took on his tour, one in particular stands out; during an appearance on February 21, he took a photo with a fan wearing a shirt reading “I’m A Proud Islamaphobe.” While this may be something outside of Jordan Peterson’s control, it can be quite easy for some people to create some link between that photo and the recent Christchurch mosque shooting. The shootings carried place in two separate mosques in Christchurch, New Zealand and was a planned assault by a terrorist seemingly inspired by a few other recent mass shootings. Fifty people were killed while dozens more were injured, as the attack was timed to take place during a busy period of prayer. In response to the mass shooting, however, the New Zealand government has announced a ban on semiautomatic weapons like the ones used in the shootings. This is something that has been praised by politicians in a variety of other countries. However, it should be noted that Jordan Peterson wasn’t mentioned by the shooter in any of the videos he posted of the shooting; he also wasn’t mentioned on the shooters manifesto, which was posted online. The psychologist first came to prominence in 2015; since then he’s been lionized by some as a free speech martyr, and a slayer of social justice warriors by far-right adherents. This isn’t the only time that Jordan Peterson has been making negative headlines recently either; Cambridge University has announced that they will be revoking a fellowship it had offered him at the university’s Faculty of Divinity. No information was released as to why the fellowship was revoked.